Carolina & Honey 20090601, originally uploaded by Paradise in Portugal. Carolina and Honey have become firm friends! Honey 20090601, originally uploaded by Paradise in Portugal. 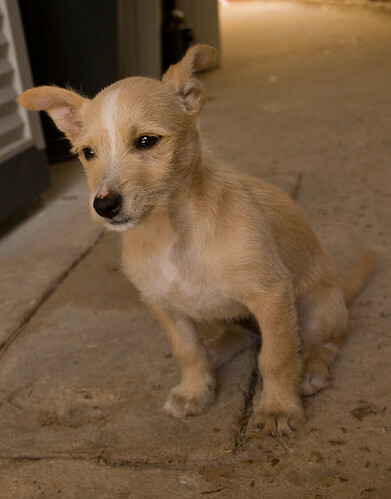 Let me introduce Honey, the Quinta’s newest dog …. yes, another one! We’re a bit of a soft touch when it comes to animals and people around here know it, so we weren’t surprised when Zé Manuel popped over a week or so ago with this bundle of fun, but we set our hearts to stone and refused his “gift” ….. until the children saw her! Zé Manuel is actually one of our local bee-keepers and the one who runs the Quinta’s bee hives now that I no longer do it myself, so what with that and the puppy’s colouration, you can see how she got her name! 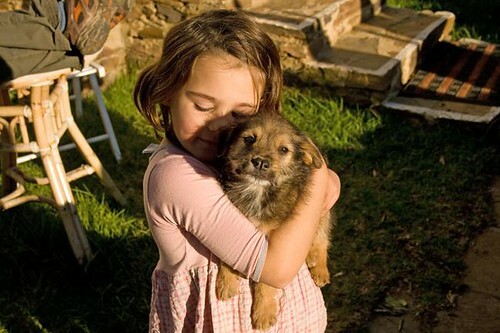 Carolina & puppy 20081219, originally uploaded by Paradise in Portugal. Just before Christmas we found a puppy lost in the middle of nowhere – the lucky thing! After enquiries we also found the owner, Zé da Choça, one of our neighbours up the track, but he had five others and thought it was a good idea we kept it – so now we’re up to four dogs again!